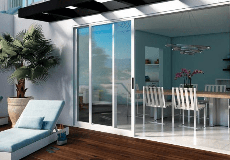 Intex Windows & Doors is a family-owned and operated business in Glendale, CA that specializes in Milgard products such as Tuscany replacement windows, patio doors, triple-glazed windows, clear anodized aluminum windows, Essence Series wood windows and Moving Glass Wall Systems. Intex has been working with homeowners and building professionals since 2004 – including assisting with high-risk projects in difficult and historically sensitive communities. They pride themselves in providing exceptional customer service and invite you to visit their showroom in Glendale or contact them at (866) 384-6839. They look forward to having you as a customer and exceeding your customer service expectations. Glendale, Los Angeles, West Hollywood, Hollywood, Pasadena, Tujunga, La Canada, Flintridge, Tarzana, Studio City, Northridge, Granada Hills, Sherman Oaks. INTEX WINDOWS, INC is rated 5.0 out of 5 by 33. Rated 5 out of 5 by Alfred0927 from Professional approach from the staff In dealing with this company I felt the professionalism from the staff. There work was prompt , without delay and without defect. I will definitely use this company again. In tex Windows and doors is going to remain my number one choice . Thank you Shanr Sarkissian in particular for your great service. Rated 5 out of 5 by Bob1058 from Very satisfied with my windows. Installation team was great. Very satisfied with our windows and the crew that installed them, very professional and clean. Shant was very helpfull with my order. Would call Intex again when I need windows. Rated 5 out of 5 by Nicky66 from Exceptional customer service, best products. i highly recommend this place, they are very knowledgable, we replaced all our windows and sliding doors with Milgard Tuscany vinyl windows. all done in one day, clean and beautiful, best price in LA. Rated 5 out of 5 by Laila from this dealer has the best pricing and customer service this dealer is incredibly knowledgeable and had the best customer pricing. their customer service was top notch. their contractors/installation crew were amazing as well. Ask for Shant. Rated 5 out of 5 by Erick from Excellent After-Sales Service We recently managed to damage the locking mechanism on our 10 year old sliding patio door. Shant at Intex Windows was able to help us get it working reliably again and with an even better handle than it had on it before. Rated 5 out of 5 by Ammy from highly professional, dedicated and prompt I, as an architect, am very happy working with this dealer. They are easy to cope with.They accomplish the job correctly the way a high-end project requires. We worked on a 40-story multipurpose building together. The results were incredibly awesome.